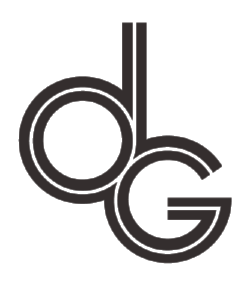 deGraauw Law Firm, PC is committed to providing high-quality representation to clients with litigation needs. Our firm is well-known for its strong trial advocacy skills, and have received several awards for the services that we deliver to our clients. We are active members of the Albuquerque community, serving on many different boards and committees both within the legal community and in outside community interests. Our firm understands the difficulties that arise during litigation. We are tenacious advocates for our clients, working tirelessly to help them achieve positive results. When there are important decisions that need to be made, we can explain all available choices and offer our clients guidance that they can use to determine what is best for them. We are thorough in our evaluation of the available options, because we want our clients to have the details they need as they consider the right move to make for their future. From early settlement negotiations to complex jury trials, we will be there, aggressively fighting for our clients. We at deGraauw Law Firm, PC know that finding the right attorney to represent you is a choice not to be taken lightly. That’s why we offer free consultations to walk you through your needs, the scope of your goals, and your budget. With 100% of his practice devoted to civil litigation, Mr. deGraauw enjoys trying cases before New Mexico juries, as well as alternative dispute resolution. He has achieved the highest Martindale-Hubbell (MH) rating of “AV Preeminent,” demonstrating his legal ability and professional ethics, and he has earned the MH Client Distinction Award. He is listed in The Best Lawyers in America for his expertise and experience in Personal Injury Litigation- Defendants. Mr. deGraauw was included among the Albuquerque Business First "40 Under Forty" award honorees in 2014, given to the state's top young professionals each year, based on professional achievement, leadership and community involvement. Mr. deGraauw has also been selected as a Southwest Super Lawyers Rising Star following a patented selection process based on peer recognition and professional achievement; no more than 2.5 percent of the attorneys in the state are named to the Rising Stars list. He has been recognized as one of the 100 premier trial attorneys in the state of New Mexico by the National Academy of Jurisprudence (NAJ), based on professionalism and excellence in service; less than 1% of attorneys currently practicing in the U.S. are selected to receive Membership into NAJ's Premier 100. He is also listed in America's Most Honored Professionals - Top 5%. Mr. deGraauw has been selected into the Peritum American Attorneys. He has also been selected to the American Institute of Personal Injury Attorney 10 Best list for New Mexico. Mr. deGraauw has also been selected for inclusion in Marquis Who's Who. Further, Mr. deGraauw has been selected for membership in America’s Top 100 Attorneys for the State of New Mexico. Selection to America’s Top 100 Attorneys is by invitation only and is comprised of the nation’s most exceptional attorneys whose accomplishments merit lifetime achievement recognition; less than one-half percent (0.5%) of active attorneys in the United States will receive this honor. Mr. deGraauw has served as a Labor Commissioner on the tripartite New Mexico Labor and Industrial Commission, which hears appeals from the Labor and Industrial Division. He also served the Young Lawyers Division as Liaison to the Natural Resources, Energy and Environmental Law Section of the State Bar. He is a member of the American Bar Association, the Defense Research Institute, New Mexico Defense Lawyers Association and the Albuquerque Bar Association. Mr. deGraauw has also been certified by the State Bar of New Mexico and appointed by the New Mexico Supreme Court to serve as a “Bridge the Gap Program” Mentor, allowing him the opportunity to provide guidance and advice to new attorneys in the state. Mr. deGraauw graduated from Louisiana State University in 2003 with a Bachelor of Landscape Architecture degree, where he was President of the Design College and President of Tau Sigma Delta- the Architecture Honors Society. He earned his law degree from Tulane University Law School in 2006, where he served as Managing Editor of the Tulane Environmental Law Journal and earned the Certificate of Specialization in Environmental Law. During law school, Mr. deGraauw completed clerkships at private law firms in Louisiana and New Mexico, as well as an externship at the New Mexico Court of Appeals. He returned to New Mexico in the wake of Hurricane Katrina and completed his final year of law school at the University of New Mexico Law School. He is admitted to practice in all New Mexico State courts as well as the New Mexico Federal District Court and the United States Court of Appeals for the Tenth Circuit. Mr. deGraauw primarily practices in the following areas of civil litigation: wrongful death and personal injury litigation, products liability, contract disputes, construction law, insurance and bad faith litigation. Mrs. Wesenberg, a native New Mexican, graduated with a Bachelor of Arts in Criminology with a Minor in Spanish and a Minor in Sociology in 2007 from the University of New Mexico. During her undergraduate studies Mrs. Wesenberg was a member of the National Society of Collegiate Scholars, Phi Eta Sigma Honor Society, Alpha Kappa Delta Honor Society and the Hispanic National Honor Society, while earning a place on the Dean's List or Honor Roll every semester. Always seeking to step outside her comfort zone, Mrs. Wesenberg participated in a study abroad in Buenos Aires, Argentina. Mrs. Wesenberg attended Law School at American University Washington College of Law ("WCL"), in Washington, D.C. During her time at WCL, Mrs. Wesenberg participated in an international study abroad with Dean Claudio Grossman, Chairman of the United Nations Committee Against Torture. She also completed an internship with the FBI, Counterterrorism and Gang and Crime Units. Mrs. Wesenberg earned her Juris Doctor in 2012. Following graduation, Mrs. Wesenberg took a gap year, during which she lived in Barcelona, Spain. Mrs. Wesenberg returned to the States and was admitted to the New Mexico Bar in 2013. Mrs. Wesenberg began her career as an Assistant City Attorney for the City of Albuquerque. She took great pride in defending her hometown. Mrs. Wesenberg currently serves on the Board of Directors for the New Mexico Hispanic Bar Association. Ms. Wesenberg has also been selected as a Southwest Super Lawyers Rising Star following a patented selection process based on peer recognition and professional achievement; no more than 2.5 percent of the attorneys in the state are named to the Rising Stars list. Mrs. Wesenberg is licensed in the New Mexico State Courts, the United States District Court for New Mexico, and the Tenth Circuit District Court. She is a member of the American Bar Association and the Federal Bar Association. Mrs. Wesenberg's primary areas of practice include premises liability, construction law, personal injury and wrongful death litigation, and general governmental practice. Bryan M. Rowland graduated from the University of New Mexico School of Law in December 2016, earning Dean’s List and Honor Roll honors along the way. While attending law school, Mr. Rowland completed legal internships with the United States Department of the Interior, Regional Solicitor’s Office and the Bernalillo County District Attorney’s Office. He also served as a Student Attorney with the Southwest Indian Law Clinic. Finally, Mr. Rowland worked as a contracted Assistant Monitor for the United States Department of Justice’s court ordered settlement agreement with the City of Albuquerque. Mr. Rowland also served as the Environmental Law Society President and received recognition from the Indian Law program for his work within the Native American community while in law school. Prior to law school, he attended the University of New Mexico where he received a Bachelor of Arts degree in Political Science, with a minor in Economics. Prior to joining the firm, Mr. Rowland worked for private law firms in Santa Fe and Albuquerque focusing his work in medical malpractice, construction defect litigation, environmental, business and contract law, as well as bankruptcy. Prior to attending law school, he worked in sales management and contract management with Maxim Healthcare, Cardinal Healthcare, and Sanofi Pharmaceuticals. In addition to his experience in the aforementioned areas of practice, Mr. Rowland also currentlypractices in the following areas of civil litigation: personal injury, products liability and insurance defense. Mr. Rowland is licensed in the New Mexico State Courts, the United States District Court for New Mexico, and the Tenth Circuit District Court. He is a member of the American Bar Association and the Federal Bar Association. Away from work, Mr. Rowland has enjoyed coaching his sons’ football teams and serving as the Booster Club Vice President for their high school. Chad David Willis graduated from the University of New Mexico in 2014 with a Bachelor of Arts in English, with a Concentration in Professional Writing, and a Minor in Interdisciplinary Studies. As a proud Lobo, Mr. Willis was involved with several student body organizations, most notably as a writing tutor for the University's Center for Academic Support (CAPS). While earning his undergraduate degree, Mr. Willis was a recipient of an International Studies Distinction, an Honor Medallion, was a member of the Phi Theta Kappa Honor Society, and was member of the University's Honors College. He was also placed on the Dean's List. After his undergraduate studies, Mr. Willis attended Law School at the University of New Mexico School of Law, graduating in 2018. As a first year law student, Mr. Willis worked for Santa Fe Public Schools, where he fought for equal rights and assisted the school district in revising their Transgender Student policies. In his second year, Mr. Willis completed an externship at the New Mexico Supreme Court, working in the offices of then Chief Justice Charles W. Daniels. During his final year of law school, Mr. Willis practiced criminal law at the Bernalillo County Public Defender's Office, making dozens of appearances in front of the Second Judicial District Court, and obtaining a commanding grasp of litigation in New Mexico. Mr. Willis also served as a Hearing Officer for the City of Las Vegas, New Mexico where he adjudicated employment dispute hearings for the City. He served as Head Student Representative for Barbri Corp., assisting law students with bar exam preparation, and as a Student Clinician for the UNM School of Law Economic Justice Clinic. Mr. Willis is licensed in the New Mexico State Courts, the United States District Court for New Mexico, and the Tenth Circuit District Court. He is a member of the American Bar Association and the Federal Bar Association. Mr. Willis' primary areas of practice include personal injury and wrongful death litigation, products liability, premises liability and insurance defense, including coverage and bad faith.